Chevy Alero was produced by General Motors and was sold under the Oldsmobile brand name. Although Chevy and Oldsmobile nameplates were used, these cars were identical and produced for 6 years. The 4-cylinder and a larger V6 engine was used in some models and we have all of them in stock now. You can buy Chevy Alero car engines for sale at the affordable prices that you demand. We don’t put you through hassles or make you negotiate to lower our price. Our Chevrolet engines come in either used or rebuilt versions. Getting what you need from friendly people is very easy here at www.carenginesforsale.com. 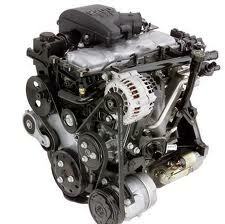 We buy engines and either clean them up to sell as used ones or sell them as rebuilt. The two are pretty much identical with the major difference being brand new parts are put on the ones we rebuild. That does not mean that a used engine is not the quality that you think that it is here. What we sell goes through a cleaning and process of professional testing. We do this to guarantee that we have the very best online motors that any customer can find. The search engine you used to get to our website did you a favor. You’re about to save a lot of money purchasing an Alero engine for sale. How do we know our engines are great? We are reminded everyday by the people that buy them. There is a huge line of difference between honesty and inaccuracy. We work very hard to truthfully write descriptions for our engines and make sure that all our customers are very well informed. It is easy to put anything on the internet and have it believed to be the truth. We prefer to be honest from the start and let our customers know about our company. The 4-cylinder and V6 Alero engines that sit inside of our warehouse are very clean and are expertly tested by our in-house Chevrolet mechanics. A rebuilt engine is one that is pretty unique. It starts out as just another used engine until we get ahold of it. One thing that a used motor has is parts that can be worn or nearing the end of a long life. One of the very first things we do is remove the worn out parts to exchange them for OEM. Dirt and grime and misuse is what leads engines to imminent death. We certify engines and make them close to what a new engine is when they leave our company. We are rebuilding experts and warranty our labor. The OEM parts will always come with the extended warranty from the manufacturer. We take care of every customer. Quotes are given out virtually right on our website at www.carenginesforsale.com. The quote form we have built is very easy to use and you can access it 24 hours a day and on holidays. To speak by phone, all you have to do is call our experts at 1-877-630-3873. We give you the low Alero engine price that you want and never try to sell you something. We give quotes and that’s it.